The Indian Government has made clear its plan to push for e-governance across most of its services. This move is aimed at reducing corruption and encouraging transparency. One of the most significant initiatives under the e-governance offering is Aadhaar. Aadhaar is a unique 12-digit identification number that is issued by the Unique Identification Authority of India (UIDAI) for all Indian citizens. One needs to enrol for Aadhar only once, through a permanent enrolment centre. This document also serves as a proof of identity and proof of address all over the country. In this article, we will discuss the aadhaar card download and ways to do it. Aadhaar Card Download- Why is it needed? Usually, after you enrol for Aadhaar or update any data in your Aadhaar, your new Aadhaar card is mailed to your postal address. This process usually takes a couple of weeks to be completed. But it is also possible for you to download a digital copy of your Aadhar card through the self-service portal of the UIDAI or the enrolment centre. This download facility allows you to store the digital version of your Aadhaar card on your smartphone and use it in place of the hard-copy. You can also take a print-out of your Aadhaar on plain paper and use it as your Aadhaar card. The e-Aadhar is equally valid across India and acceptable for all purposes for which Aadhar is required. Here is a step-wise guide to help you with the process of Aadhar card download through aadhaar number. If you have your Aadhar number with you, then you can download your Aadhar card easily. But to be able to use this facility, you must have your mobile number registered with UIDAI. 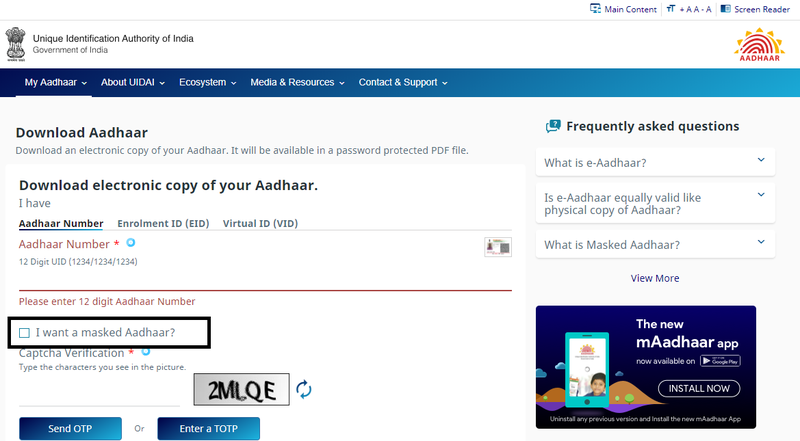 As you would require a One Time Password (OTP) for e aadhar download. 1. Log-on to the official website of UIDAI. 2. 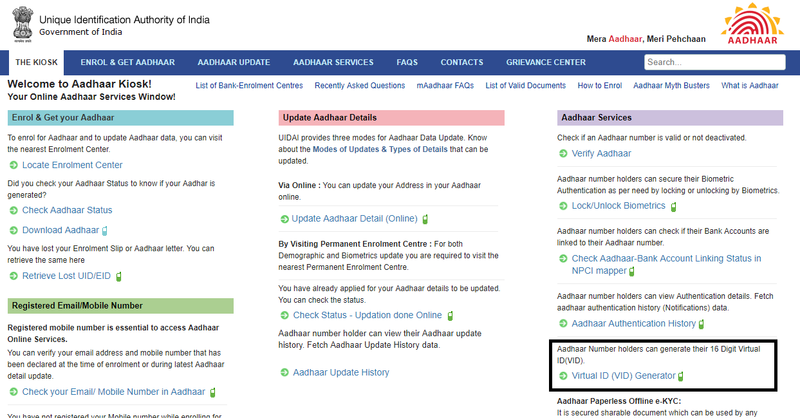 Select “Aadhaar Number” from the page displayed and enter your aadhaar number. 3. Here you can select if you want to download “Regular Aadhar” or “Masked Aadhar”. Masked Aadhar is an option that enables you to download your Aadhar but with only the last four digits being visible. 4. Enter the captcha and click on the button “request OTP”. 5. Now you will see a pop-up where you need to provide your confirmation to send the OTP to your mobile number. 6. After you receive the OTP on your registered mobile number, enter the same in the given field and click on the button “Download Aadhaar”. 7. Now, click on the button “Download Aadhar”. Your Aadhar card will be downloaded. You can open it by entering the eight-digit password which is the first four letters of your name (in CAPS) and your year of birth. Please make sure you keep your downloaded Aadhaar card is safe and secured to prevent any possible misuse. 2. Select the option of “Enrolment Id” on the screen. 3. You can now select the option to download regular Aadhar or masked Aadhar as per your preference. 4. Enter all your details including the 14-digit enrolment id and 14-digits of time and date of enrolment. 6. After you receive the OTP on your registered mobile number, enter the same in the given field and click on the button “Download Aadhar”. 7. Your Aadhar card will be downloaded on your system, and you can take its print out or save on your smartphone to be used when required. 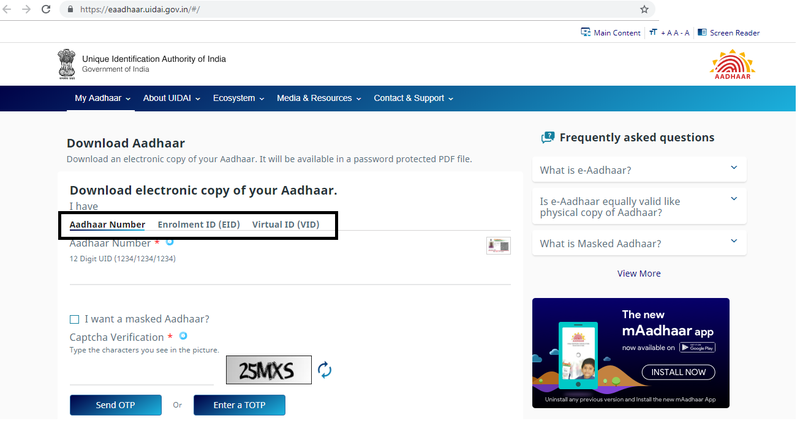 In some instances, you might have lost your Aadhar number and Enrolment ID, but you can still download the copy of your Aadhar card with the help of your date of birth and name registered with UIDAI. Here are the steps that you need to follow for Aadhar card download with the date of birth and name. 2. Click the “Retrieve lost UID/EID”. 3. Now you must enter the personal details as required including your registered mobile number or email id. 3. Enter the security code and click on “Send OTP”. 5. 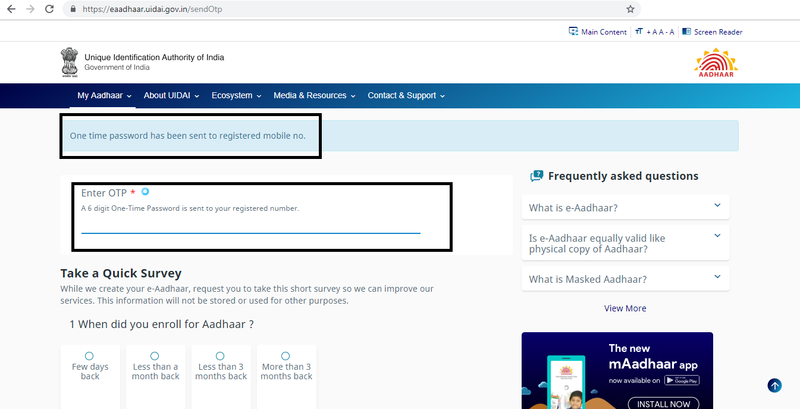 You will now see a message that your Aadhar Number has been sent to your mobile number. Once you have received by aadhaar number, you can follow the steps discussed in “Aadhaar card download with Aadhaar Number” section earlier. You can also download your aadhaar card through a 16 digit Virtual ID (VID). 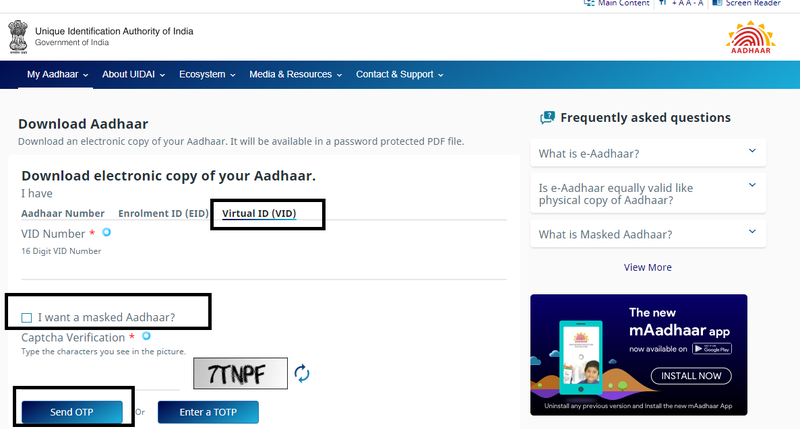 You have to first generate the Virtual ID from the UIDAI website for downloading the aadhaar through VID method. 1. 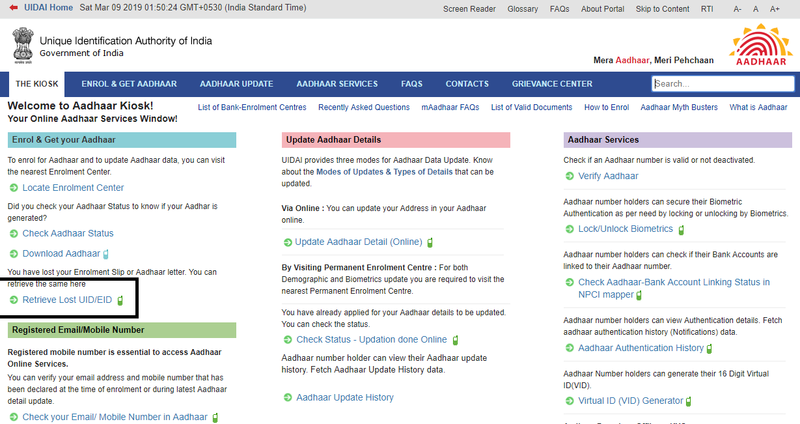 Log-on to the https://resident.uidai.gov.in/home website. 2. Click on the “Virtual ID (VID) Generator”. 3. Now, enter your aadhaar number and the security code displayed on the page. 4. Click on the button “Send OTP”. 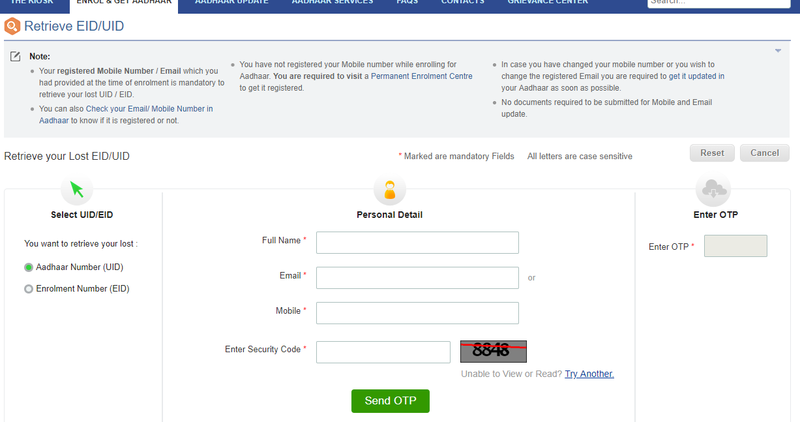 On the right-hand side, enter the OTP sent to you on the registered mobile number. Also, select the “Generate VID” from the below-given options and click on “Submit”. 5. You will receive the VID on your registered mobile number. 6. 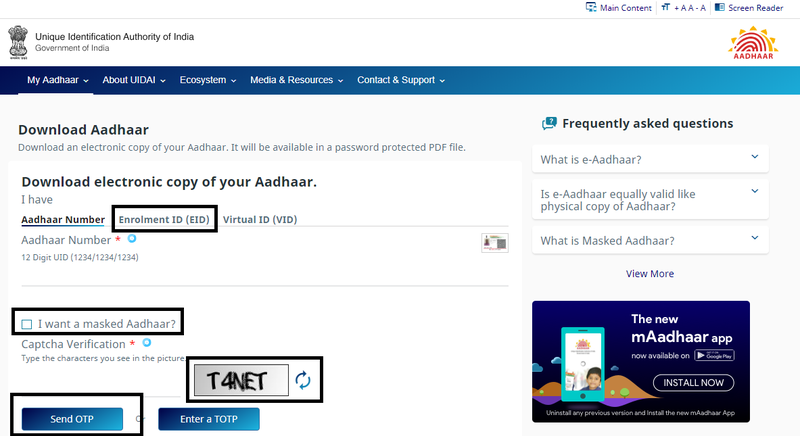 Once VID is generated, log-on to the official website of UIDAI. 7. Select the option of “Virtual Id” on the screen. Also, select the option to download regular Aadhar or masked Aadhar as per your preference. 8. Enter all your details including the 16-digit virtual id. The facility to download and use the digital copy of Aadhaar card is an excellent facility provided by the UIDAI to ensure that you always have ready access to your Aadhaar card. Always exercise precaution and do not share your Aadhar details with an unknown person or entity online or telephone.